Pantsula can be described as a dance style from the townships of South Africa, involving intricate fast-paced footwork and occasionally, break dancing and other acrobatic moves. Last time the dance made major headlines was probably in 2011, when Beyonce featured the Mozambican dancers Tofo Tofo in her "Run The World" video, while hitting the Pantsula moves herself. 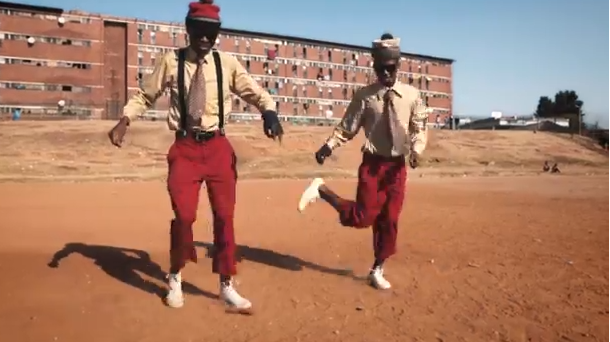 This time, British electronic duo Basement Jaxx highlighted Pantsula as an expression of happiness, in their new video for the song "What a Difference Your Love Makes." The video, directed by Damian Weilers, takes us through a day in the lives of two mothers in South Africa and their two respective sons. From the wake up time to the end of the video, there is expression of motherly love and intricate Pantsula moves. Jaxx's song and the Pantsula dance have many things in common. As the British pair sings, "You woke me up through sorry place (...) you rescued me when you came along," we can remember the birth of Pantsula as an expression of the lives of young South African men and women needing a way out of the violence and misery in their townships. In the song, it says, "no one really knows which way it's gonna go (...) let's make this something to remember." Pantsula is a very unpredictable dance, it is quasi impossible to predict what the next move will be since this is also a very rapid dance. And wouldn't you say that Panstula is something to remember? We know you would! Musically, BJ's song features elements of House music, which is heavily sampled in Kwaito, the accessory music to Pantsula dancing in Southern Africa.